Whilst Greece may be famous for its cuisine, enticing Mediterranean climate and idyllic sandy beaches, there is much more to this biologically diverse country than meets the eye. Teeming with many plant and animal species, deeply historical landscapes and monuments, Greece and all its thousands of islands offer a way of life that keeps millions of tourists visiting each year and sees a steady flow of expats taking the plunge and moving there. Greece boasts a mainly Mediterranean climate, which means long, hot summers and wet, cool winters. The country’s capital experiences highs of 29°C (84°F) in the hottest month of August, which also sees the warmest sea temperature of 25°C (77°F) for those keen on swimming. January is the coldest month, with lows of 10°C (50°F) in Athens – this is of course still relatively warm compared to other parts of the world. As well as a Mediterranean climate, the country also experiences a range of micro-climates, with a notable shift in weather in Northwestern Greece alongside the more central areas of Peloponnese. The transcontinental proportions of Greece, which make up 80 percent of the country, and the alpine climate mean that the weather and mountain ranges provide the perfect setting for winter sports from December to March. This may come as news to expats, who often don’t realise that there is a ski season in Greece! Moving here can mean a wealth of good weather, summer and winter sports and island-hopping staycations. There are two popular ski resorts a drivable distance from Athens. These are Kalavrita Ski Center in the Peloponnesus, and Parnassos Ski Resort near Delphi. Ski passes are affordable for the weekend, with a pass at Parnassos costing only €27 per person, or on a weekday as little as €12. There is a total of 24 ski resorts nationwide, offering ski runs, lifts, accommodation and all the necessary facilities for a ski holiday. For those who enjoy birdwatching, Greece houses an impressive 11 wetland areas, which are home to 410 species of bird. Keen naturists will be interested to learn that Greece also contains more than 800 species of indigenous flora. Its landscape is diverse, and boasts lakes, lagoons, river deltas, mountains, ravines and gorges, all of which can be popular natural settings for hiking and camping. Mount Olympus National Park, located on the border between Macedonia and Thessaly, is Greece’s first national park, having been opened in 1983. Currently, 13 national parks exist in Greece, nurturing plant and animal life alike. Crete is also popular for challenging and scenic hikes. An array of animal species can be found in Greece. Those keen to spot sea turtles can see them lay their eggs on Zakynthos’ Bay of Laganas. Wild Mediterranean seals can be spotted playing in the seas of the Sporades Group of Islands, while the Marine Park and the shorelines often have various types of dolphins gracing the water. Huge animal diversity can also be found in the mountainous regions, coves, islets and reefs of Greece. The range of wildlife who call Greece their home is one of the largest in Europe and a treat for expats to live alongside. 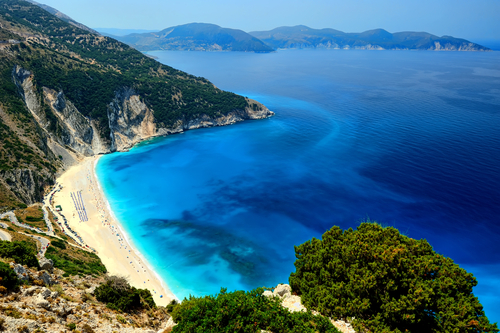 A list of reasons to move to Greece cannot be complete without a mention of the picturesque beaches located there. The country has an expansive coastline measuring almost 16,000 km. Nine marinas and around 400 beaches in Greece have been awarded the prestigious Blue Flag, an award from an international institution that assesses the most beautiful, environmental and high-quality beaches in the world. Those heading to the beaches tend to do so during the months of May to October. Wherever you live in Greece, there will be always be at least one of the 1,200 beaches a drivable distance away. For example, expats living in Athens only need to drive 23 km to Athens Vouliagmeni beach, which offers watersports, cabins and tennis courts. Greece has beaches to suit all requirements. As well as mainland Greece, popular beaches are spread across the islands such as Crete, Mykonos, Zakynthos and Rhodes. Moving to Greece as an expat can mean access to crystal clear waters and sandy beaches just a short drive away. One of the pull factors for living in Greece is the low cost of living. The country boasts one of the lowest costs of living in the EU, on average up to 30 percent cheaper than other European countries, with comparable standards of living. Naturally, larger cities tend to have a higher cost of living, with Athens, Heraklion and Thessaloniki being the top three most expensive. Expats often buy their fruit and vegetables from the local markets, which offer very affordable prices and fresh produce. A kg of oranges cost 88 cents, a kg of potatoes is 75 cents, while a loaf of white bread is 77 cents. Roughly, grocery shopping costs 21 percent less than in the UK. If you are eating out in a Thessaloniki mid-range restaurant, a three-course meal for two will cost around €30. An imported beer would cost €4. Wine is also highly affordable compared to other places in Europe and the US. A mid-range bottle of wine costs around €7. Smaller, local restaurants and bars offer even lower prices, so expats often find themselves eating out a few times a week without breaking the bank. All in all, eating out is around 39 percent cheaper than in the UK. For a single person – excluding rent – the average cost of living in Thessaloniki per month is €582. For a family of four, this is around €1,998. Utility bills and accommodation are affordable even in the capital city. A one-bed apartment in the city centre of Athens costs around €278 per month, while a three-bed flat in the city centre costs around €490. Whilst the costs are relative to salaries, expats moving to Greece can enjoy more for their money. Although many expats have cars in Greece, public transport provides a reliable and affordable alternative. 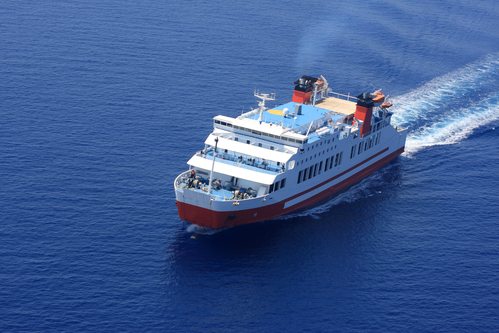 Expats living in any of the islands are likely to use the established ferries that run between them. A large amount of money has been poured into Greece’s transport infrastructures over the last 20 years, which in turn has helped support the economy. Train, tram and ferry networks are established, with Athens also having a metro system available – Thessaloniki's metro will open soon. The building of a number of train railways and motorways is also underway, notably the Rio-Antirrio bridge measuring 2,880 metres long, soon to be Europe’s second longest cable bridge. Urban bus transport is popular, with the option of regional and intercity bus transport. A single bus ticket costs €1.40, with a monthly pass at regular price costing €30. A taxi will cost €12 for a five-mile journey. Furthermore, German firm Fraport AG have taken over 14 regional Greek airports such as Zakynthos and Thessaloniki, vowing to spend €400 million on increasing passenger capacity and various other upgrades. This is a promising proposition for expats already living there and those hoping to move to the country. The average Greek person lives 81.1 years, with this life expectancy having increased over the past ten years. According to the Organisation for Economic Co-operation and Development, improvements in medical care, living conditions and public health have assisted this figure. Many local people say that it is actually the Mediterranean diet that is the reason for such long lives. Staples of the Greek cuisine include fruit and vegetables, fish, whole grains and dairy. Legumes and beans are also prevalent in the diet, mixed into salads, stews and soups. Of course, there are indulgent dishes in the country too, but generally an average meal is fresh and healthy on the heart. Of course, the Greek medicinal wonder ingredient olive oil is frequently poured on leafy green salads. Access for expats to fresh, reasonably priced and enticingly colourful foods means their diet can be healthier, varied and cost effective. Home ownership in Greece is at more than 80 percent, one of the highest figures in Europe. The price of property in Greece is on the cheaper side for Europe too. New one-bed apartments located on the islands cost €70,000 on average and €100,000 on average for a two-bed. A three-bed villa costs on average €150,000, with two bathrooms. If an expat has found a property they want to purchase, completion may be on the horizon in 6 to 8 weeks. Available to both EU and non-EU nationals, there is a variable range of properties on the market, from shiny new apartments to old stone houses. Still undervalued, the market is highly competitive for expats wanting to purchase. Roughly, property prices are 22 percent cheaper than in the UK. It is worth noting that Greek banks offer loans to citizens of the EU for the purpose of building, buying or renovating property. These loans can be up to 80 percent of the commercial value. So whether you’re after a beachfront home in the Ionian Islands, a traditional stone house in Syros or a townhouse in Athens, owning a property in the country is much easier than many expats may think. Have you lived in Greece? Share your experiences in the comments below, or answer the questions here to be featured in an interview!